I ALSO love the coral/hot pink!! The room includes a daybed with a trundle for those newborn nights, a pouf for your tootsies while rocking the baby, and floor pillow for playtime on the rug with sweet baby! Which room gets your vote, turq or coral? I LOVE the coral for a little girl...and of course I'm incorporating turquoise into our nursery. Both are great options! Definitely coral! Love that for a little girl! I really do love both! But...would have to pick the coral and pink! I am a total girly girl! I like the coral-maybe with a soft pink or yellow as an accent color? Very pretty, Shelli! Totally the coral one!!! Love it! Can the two come together into one nursery. Neutral with pops of both colors??? How do you choose just one? Both are super cute - I am a big fan of glamorous nurseries too! These are great options you came up with! both! I love those colors together! both are super cute, but i'd go with the coral and pink! Coral, but the turquoise is gorgeous, too! 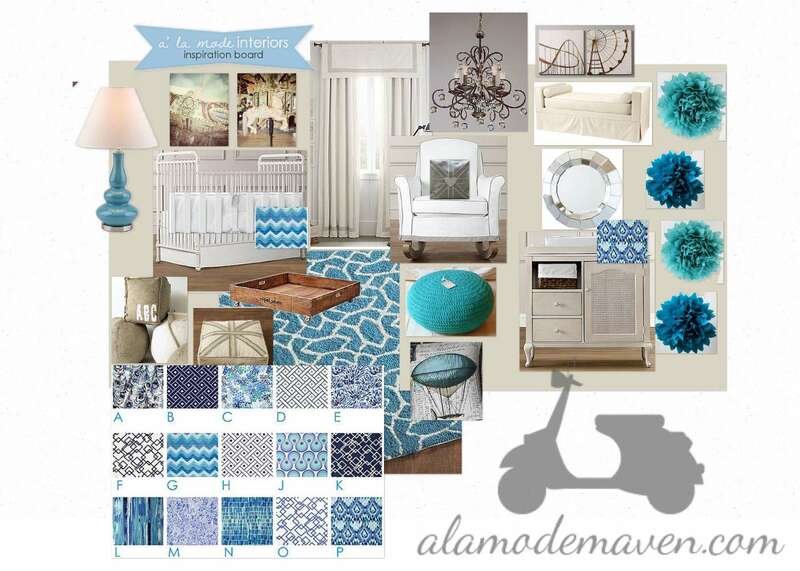 Love how glamorous both of these moodboards are! I am always a huge fan of turquoise, but lately I've been incorporating some coral into our house. Those fabrics for the bedding are beautiful. That combination is gorgeoues. Well done! Love them both!! But think for a little girl the coral and hot pink. Great design boards!! Turquoise just pops - love it! Wow this is a tough one! I'm with Casey- combine them. They are both gorgeous colors. Love them both, but I'm probably leaning toward the coral for a little girl. I'm expecting my first but don't know the gender yet. 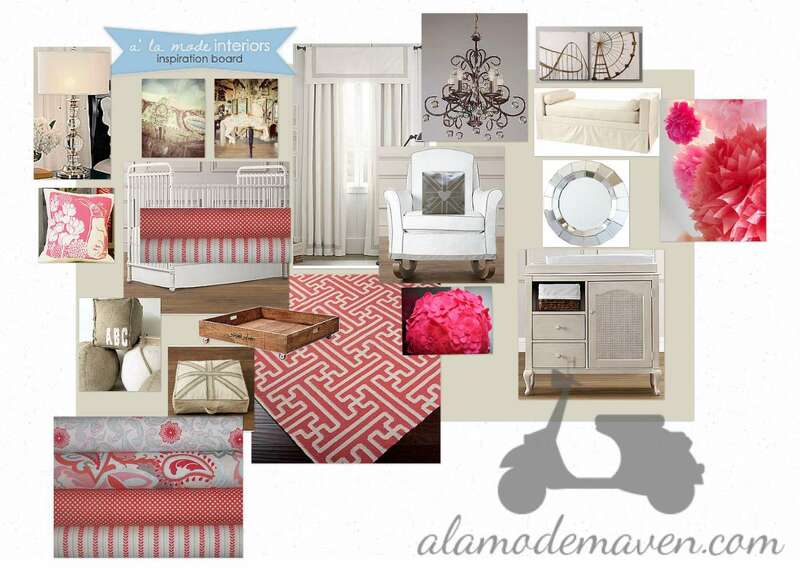 I can't wait to plan the nursery when that time comes. Oh, and here is a room done in coral and turquoise - so cute! Coral! Turquoise is just so overdone. Can't wait to see! Love the Coral!... can you tell me where to buy those fabrics?????... love them!!! and i would like to purchase them for my baby girl nursery! Coral for sure. Funny I came across ths site. I was looking for inspiration for my daughter's nursery. I have painted 2 of the 4 walls a beautiful coral color and need additional ideas. to my surprise this site has more than a few of items I have already purchased for her room. I have the lamp and shade, coral pouf, glider w/ mahogany legs, and mirror. Love it!! !